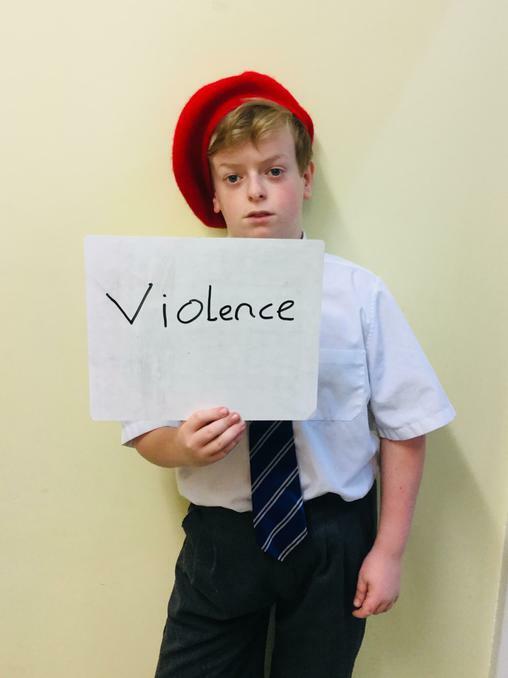 A picture paints a thousand words...check out what we've been up to in Year 6! A busy end to term with the Year 6 successfully filling the Jelly Bean jar after giving up dojo prizes, as a class, during Lent. They followed the Jelly Bean prayer, with each colour representing a different action, linked to their work and their treatment of others. 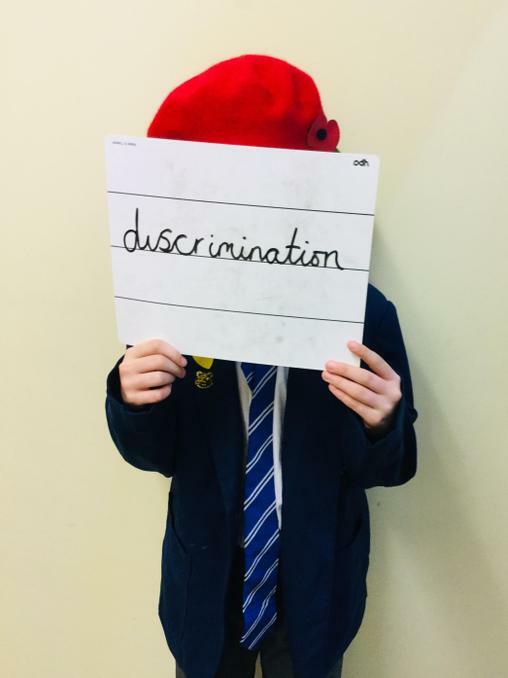 The last week saw us complete a SATs mock week, where the children worked brilliantly. We had Eli, Libby and Jose as our most improved winners, one for reading, one of maths and one for grammar. Creating our own 'Stations of the Cross' is part of our Lenten tradition at St. Mary's. Each class create two stations each, representing that part of the story of Good Friday in their own way. These are pictures from the Year 6 children engaging with the story and having time to make their own personal reflection in the reflection books or with stations that were interactive. 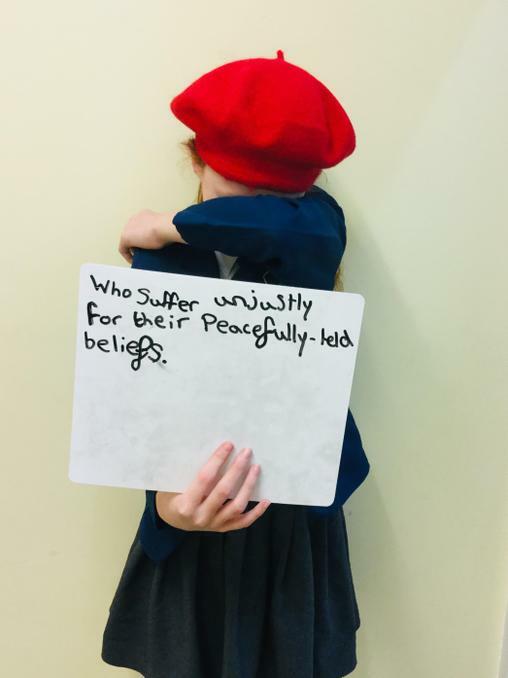 The children's reverence and respect was evident throughout their time in the hall and children spent time in silence and in prayer together. Van Gogh class have been writing sentences about our town. They have started to use positive and negative phrases to describe the buildings in Fleetwood. To illustrate their sentences they have made their own triaramas. 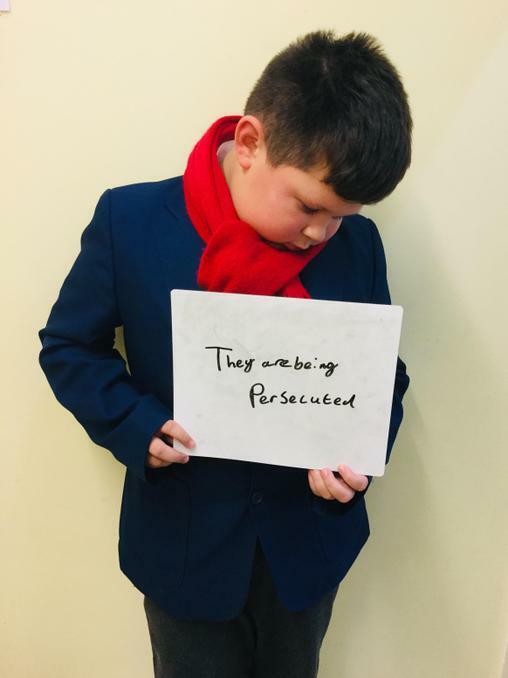 George Fouche came into school on Friday 29th March to talk to the children about who he is and how he sees life, to ensure that adults and children can fulfil their dreams. George spent an hour with the whole school and then complete workshops with some classes. He shared his past: growing up in South Africa, becoming a professional rugby player, becoming a qualified maths teacher, which led on to him becoming a headteacher of a secondary school, after suffering an injury of a broken neck, where he was told that he couldn't play again and was paralysed. This led to him spending the two years in hospital recovering and despite what he was told he trusted the nurses, worked with them and went on to walk again and in fact give up teaching to have a 7 year career in professional rugby once more as he was so determined, competitive and driven to be who he truly wanted to be. George now spends the majority of his time racing all over the UK in every type of school and institution imaginable delivering his acclaimed shows and workshops sharing his story as an example that dreams can always be fulfilled, everyone possesses the ten key characteristics to being successful and resilience can be learned. 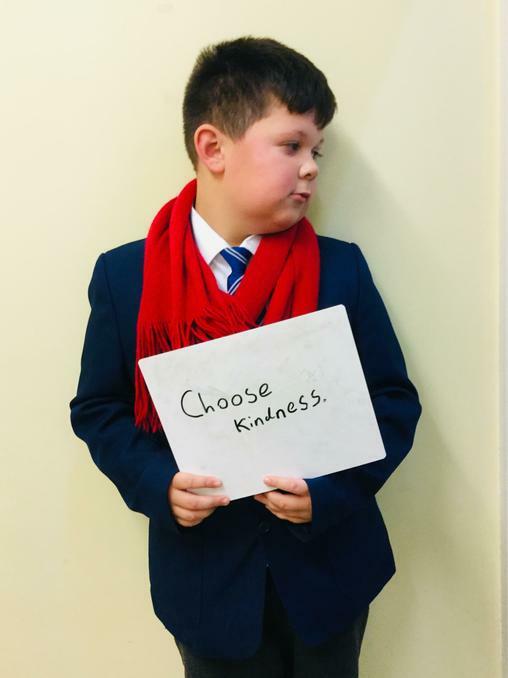 George is the UK’s number ONE educational aspirational speaker. Steve Rossington, from Salford University, came back for a return visit to spend some more time with Year 6. Steve concentrated on sharing more about his job at the university as a chemist and lecturer with a focus on teaching about the human body and how it is made up of molecules that link with mirror image of lines of symmetry on shapes like a square, pentagon and hexagon have. 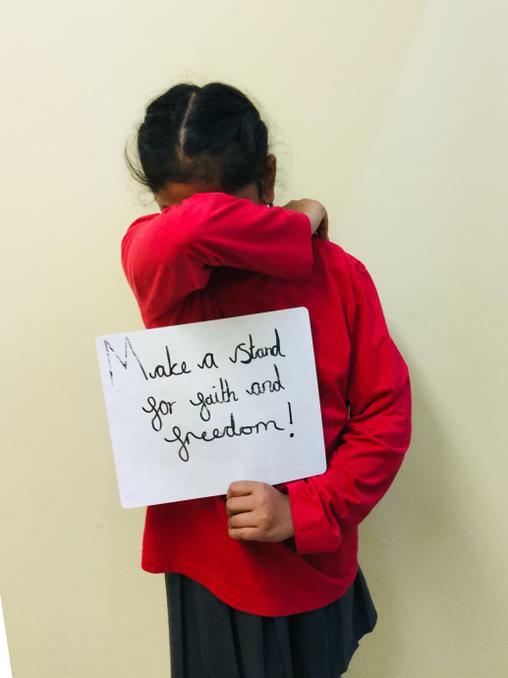 During Lent, seven of our Year 6 children have been attending The Way of the Cross, a special service each Thursday held at church by Father Michael, which is open to parishioners. Our children have participated in children from the child's point of view during the service. At the end, the children, along with Mrs Halloran have been joining the parishioners from some lunch and conversation. Steve Rossington, a science lecturer from Salford University, came in school to launch our Science day with a literally BANG! He demonstrated to the children the effects that certain gases have on different items, for example he froze apple, banana and flowers all using carb ice (dry ice). He then visited each class for small workshop, when visiting Year 6 he made ice cream, which the children got to eat. He used cream, sugar, milk and carb ice and mixed it altogether which almost instantly it transformed into crystals of ice cream. 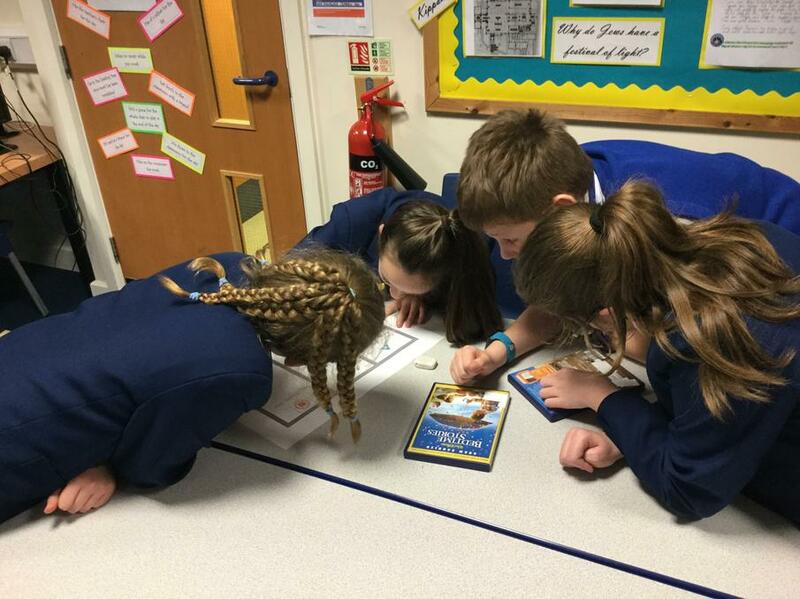 Year 6 had the opportunity to visit Mrs Hoy, head of Science, at Cardinal Allen for a chemistry lesson. The lesson focused on testing different types of metals and their reactions with hydrochloric acid. Back in the classroom for the afternoon, Year 6 used their knowledge of the circulatory system and made their own blood - with sweets. We recapped on the components of blood, the function of each part, then made our own representation using honey for the plasma, Haribo strawberries for the red blood cells, white chocolate buttons for the white blood cells and rainbow drops for the platelets. Today, Tuesday 19th March, we were visited by an artist (sculptor) who worked with the children for half a day. The theme the sculptor worked around was 'The Rainbow Fish' by Marcus Pfister. Children made a range of 3D fish, shells and other sea creatures. The finished pieces will be fired locally and then returned to school for final painting and decoration. All of the pieces will then be used as a display to initiate the 'Fleetwood in Bloom' competition. We have been invited by Wyre Council to participate in this because of all the work we have done before. This was a great opportunity for the children to work with a practising artist, see a potter's wheel in action and be part of something in the community. Some of our children from Van Gogh Class during World Book day celebrated on Friday 8th March with our Mr Men and Little Miss theme, thinking about our aspirations. 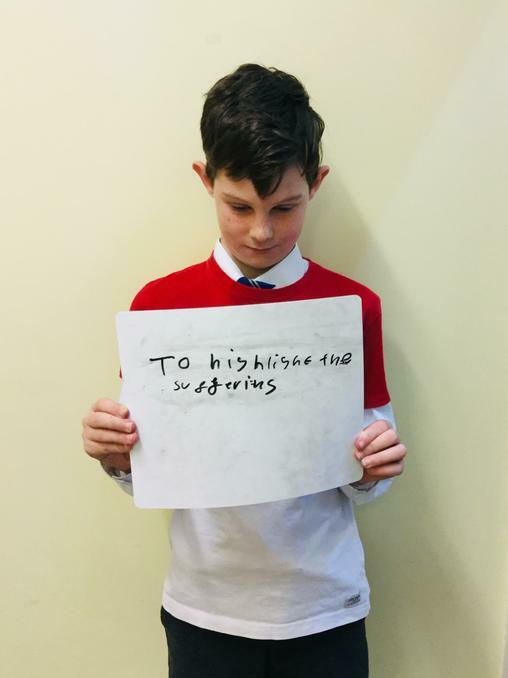 As part of our English unit on reading 'The Boy in the Striped Pyjamas', the children created a mind map on information regarding Auschwitz and the events that occurred there with the Holocaust. 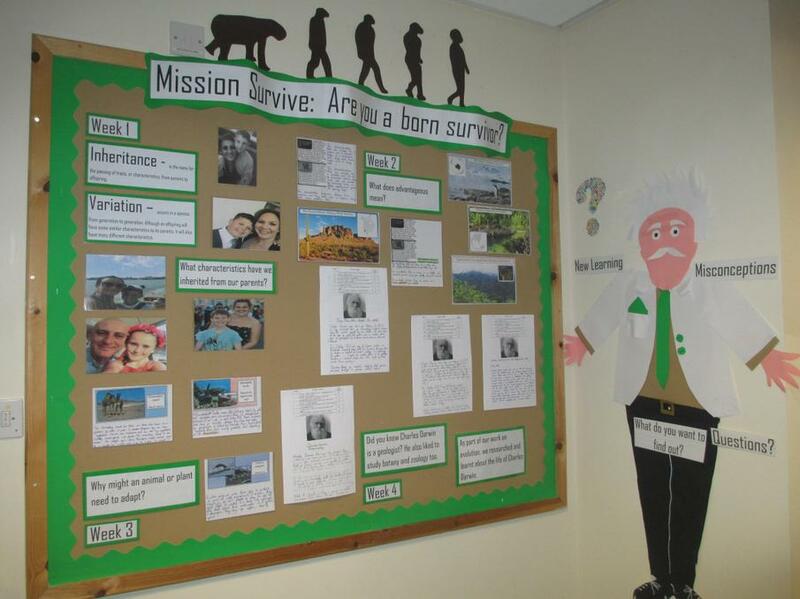 The children were shocked by the information that was shared in the book and that they learnt from their research. On Wednesday 6th March, as a school, we went to Ash Wednesday Mass at church and received ashes and communion. Year 6 children shared their readings and prayers with the congregation and everyone fully participated in Mass with hymns and responses. Today in French we celebrated 'Mardi Gras'. This is what Shrove Tuesday is called in France. Although it is a great 'carneval' occasion, it is not the day that the French make pancakes: that day is known as 'La Chandeleur' (Candlemas) and it happens in February. The children talked about the similarities and differences of this Christian tradition which precedes Ash Wednesday and the start of Lent. Some of our Year 6s attended the Young Voices 2019 at the MEN arena in Manchester on Tuesday 12th February, joining 6000 other children in singing together and listening to some famous singers too. In French this week, the children of Van Gogh class have been learning about 'La Fête de Saint Valentin'. The celebration is said to have originated in France at the time of the Battle of Agincourt. They learnt how gifts are exchanged and secret messages sent to loved ones. They then created their own cards and included a simple French message. Lily, Wyatt, Eli and Kiera planned and delivered their worship on the theme of 'True Friendship'. 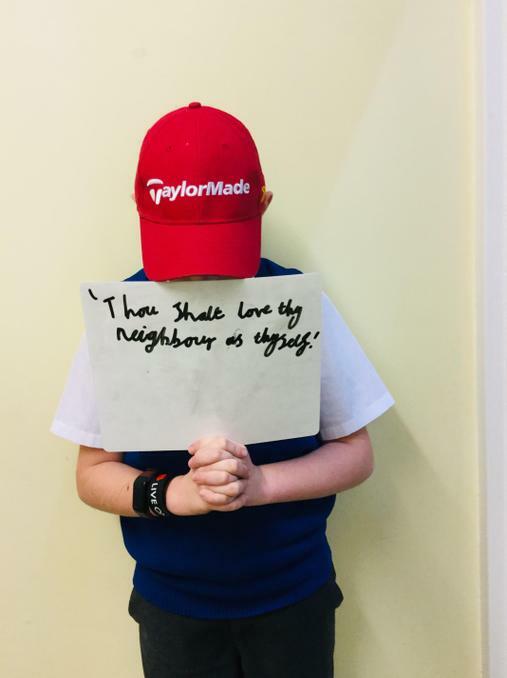 The children welcomed the others to share a quality they have that makes them a good friend, this followed after sharing a story and verse from The Book of Proverbs. 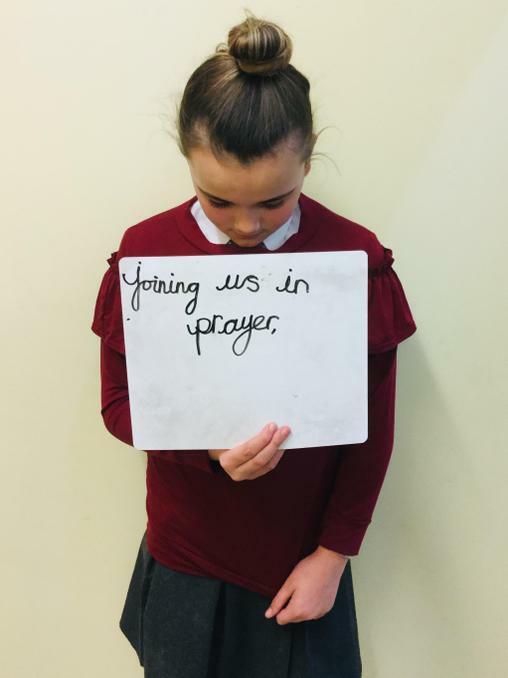 The class were then invited to reflect in prayer at our class prayer wall. 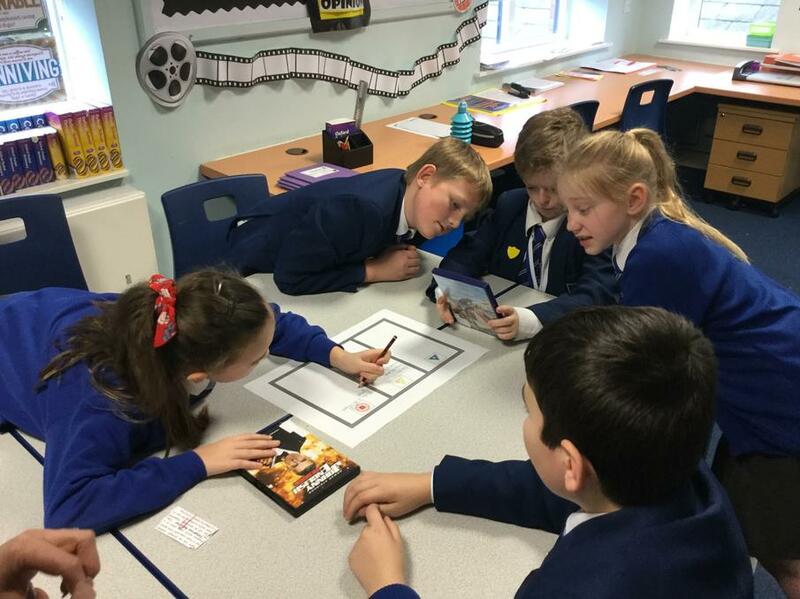 This half term, we have been concentrating on persuasive writing with a focus on film classification - should films be rated? Should films that contain smoking be rated an 18? The children looked at the features of persuasive writing, the work of the BBFC and constructured both one-sided and balanced arguments. Having attended Tower Wood the week commencing the 28th January, we celebrated the successes in our Star of the Week the following week. We shared our photostory, certificates for the children and our winners of extra activities we did whilst we were there: Head Hunters, room inspections, quiz night and Tower Wood's Got Talent. As part of our learning this week on calculating the space a shape takes up, we have looked and area and perimeter of 2d shapes and then moved onto learning about volume - the amount of space that a substance or object occupies . We concentrating on calculating cubes and cuboids and finding missing lengths when given the answer. A Sunday Afternoon on the Island of La Grande Jatte painted in 1884, is Georges Seurat's most famous work. In French this week, Van Gogh have used the painting as the starting point for their work on verbs. They studied the painting then identified as many verb infinitives as they could to describe the activities in the picture. After this, they used bi-lingual dictionaries to find the French infinitive for some of the verbs. 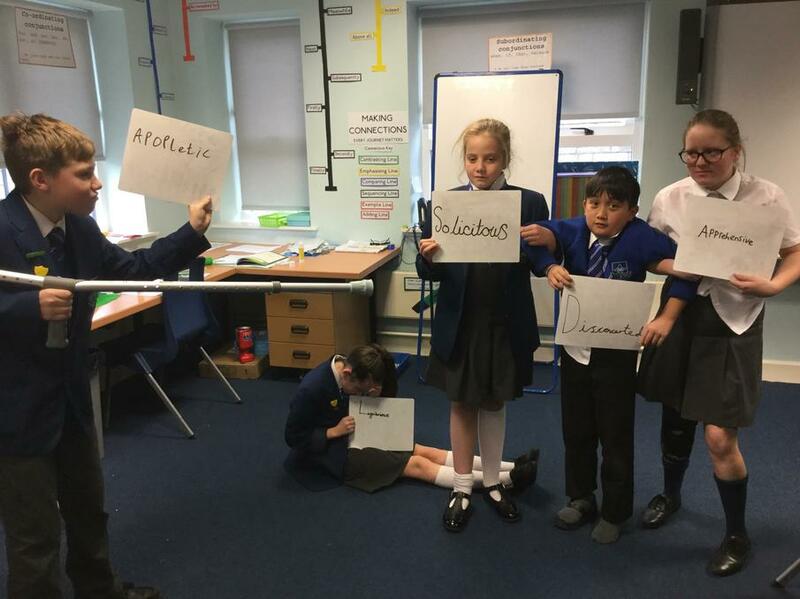 Using the dictionaries will support their learning and increase their active vocabularies, in turn they will be able to write more complex sentences. The first part of our persuasive writing unit, with theme of classification of films, has been to considering 'should films be classified? 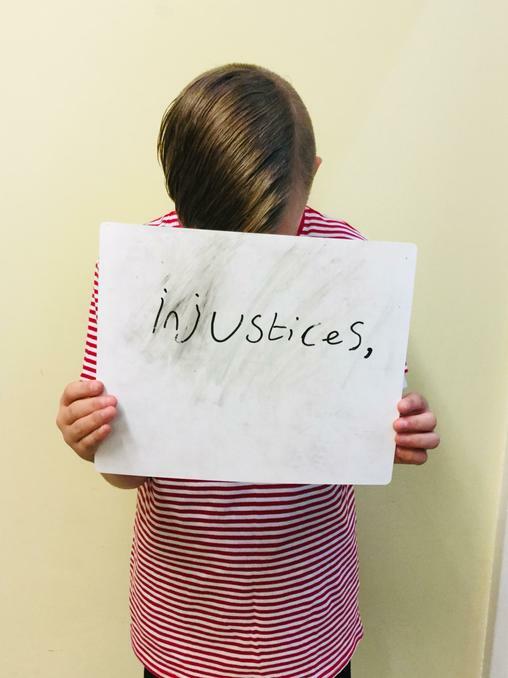 ', construct a one-sided argument, research the work of the BBFC and learn about the criteria the BBFC follow in order to classify films, which the children had a go at themselves. It's been a busy final few days for Year 6 on the lead to finishing for Christmas. We have enjoyed a trip to the cinema, with the rest of KS2 to see Nativity Rocks, had party afternoon, made Christmas Cards and some year 6 children went to visit Alexandra Court Care Home to deliver our Christmas Cards and sing for the residents. During Advent, Year 6 along with other classes and their Posada box, have enjoyed taking the box to their homes to provide Mary and Joseph with a home for the night, on their journey through Advent to Bethlehem. Key Stage Two children put on a great performance for their Carol Service for their parents and the community. The children shared the story of the Nativity with carols, actors, soloists and readers. Year 6 finished with performing Santa Claus is coming to Town with Mr Smith. 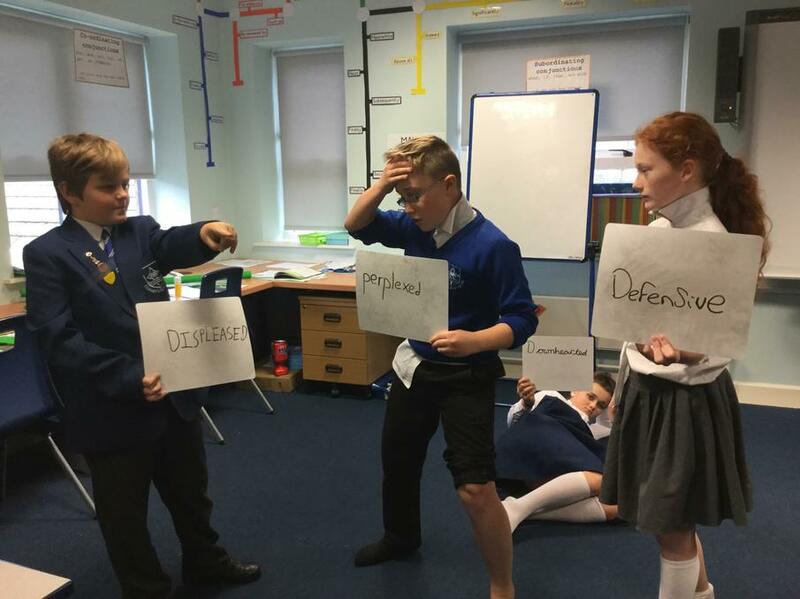 As part of our topic work in RE, about Justice, we learnt about the events of the true events which occurred on the Christmas Day 1914, where the German and British soliders called on a truce. 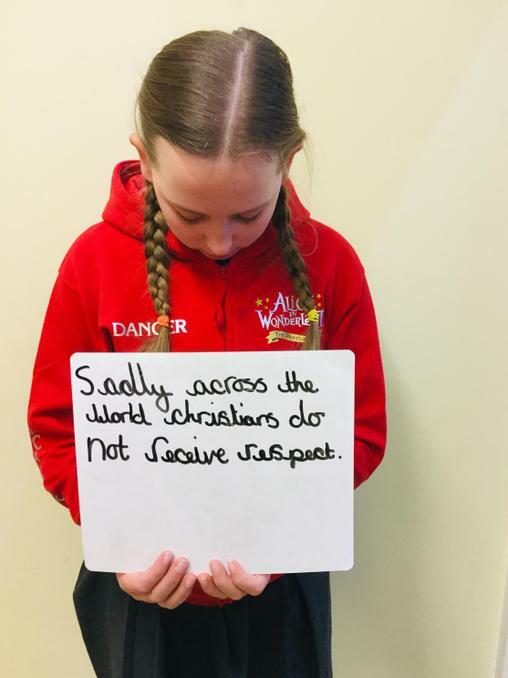 The children wrote in first person as a British soldier experiencing this truce and how these actions reflected the true meaning of Christmas to Christians. Rosalina, Sky, Keiyara, Wyatt, Ben and Joseph sang and read at Cardinal Allen's Advent Service for the Deanery called 'Are you ready for the light?' with Cardinal Allen pupils. With a term down the line, in music with Mr Smith, Year 6 performed a Christmas music assembly to the rest of the school, staff and parents. They did a great job with sharing Christmas songs with the instruments, a samba session and current songs chosen by them. On Thursday 6th December, KS2 enjoyed their Christmas Lunch with Christmas music, crackers and party hats. Van Gogh class had a visitor today. Mme Patisso, a language teacher from Cardinal Allen visited to give a sample French lesson to our year 6 children. They had great fun learning about the weather using pictures, songs and memory games to reinforce the language that they learnt. 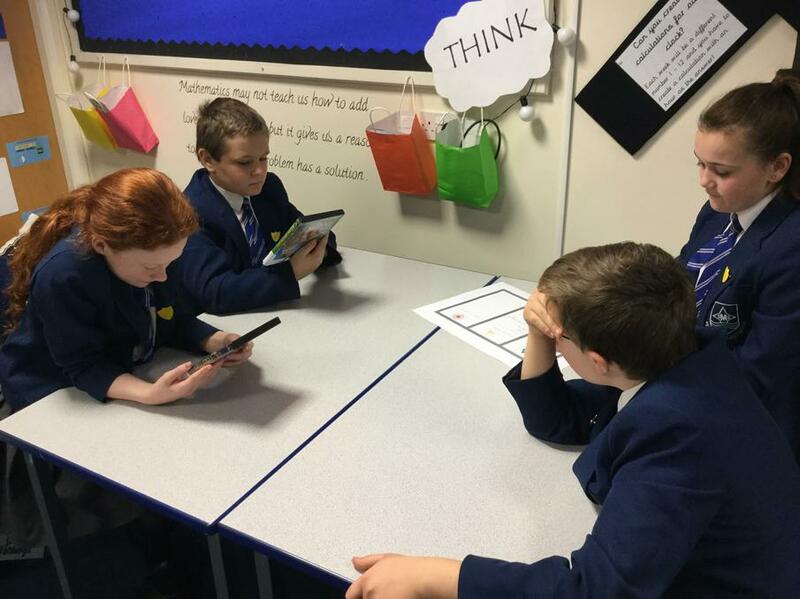 Hopefully, the lesson has given the children a taste of what a Year 7 French lesson is like and showed them what they can look forward to when they join Cardinal Allen High School in September. Some great examples of the children's efforts, in writing a letter in role, as the main character (Jim Jarvis). Keiyara, Jacob, Rosalina and Wyatt have worked hard: ensuring their handwriting is consistent, they have a range openers to begin their sentences and as they have a variety of sentence types, ensuring they are demarcated accurately. 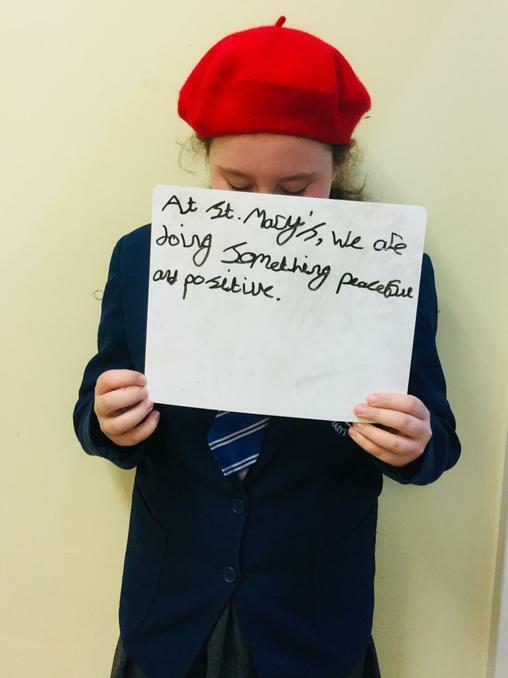 St. Mary's today supporting Aid to the Church in Need, during their worship time in class today by wearing their red glasses given to us by the charity. We prayed for those who are suffering because of their faith and lit a red candle as we prayed for them. 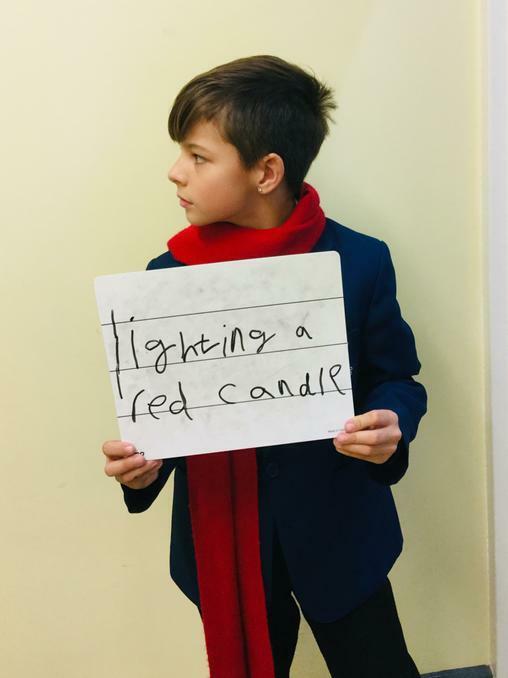 Year 6 had taken their red candle home during Anti-Bullying Week, these are images received from parents whose children lit their candle on Red Wednesday, taking what we shared to their homes. 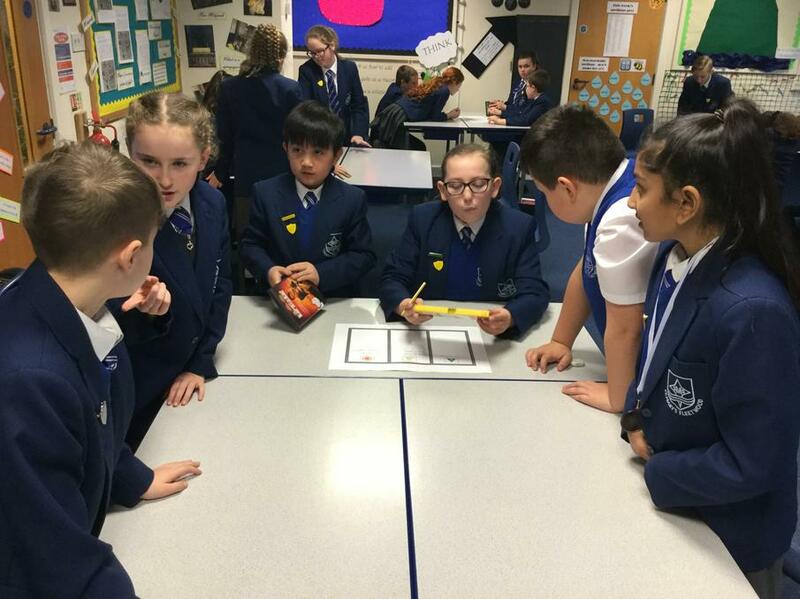 As part of a transition project with schools in Fleetwood, to support the transition from Year 6 to Year 7, Mrs Simpson (Maths Lead at Cardinal Allen) came in to join us for our Morning Maths session followed by our Maths lesson on adding fractions. She was super impressed with the children's efforts, behaviour and engagement. Bishop Paul Swarbrick has called for us to have a Year of the Eucharist, he wants us to know the importance of Mass, going to Holy Communion and calls everyone in the school community to holiness in this particular year which began on the Feast of Christ the King (25.11.18). As a school, we had a Holy Hour, where each class participated in worship as we adored the Blessed Sacrament in the Monstrance. After our Holy Hour, back in class, we created the icon for the Year of the Eucharist for our worship area in the classroom. Keiyara and Scarlett went to St. Mark's in Layton to drop off our 26 boxes, to add to their collection of presents for those children across our world who won't receive presents this year. To support the Samaritan's Purse charity with their work of Operation Christmas Child, Year 6 made and compiled 26 boxes for sharing love and joy in the form of a simple shoebox gift. We have looked at how we see light, completed experiments based on reflection and refraction and even presented our own TV show! With reference to today's Road Safe session held by Firefighters from Fleetwood Fire Station. On visiting St Mary's today we spoke to year six regarding road safety. We were greatly impressed with the behaviour, manners and overall interaction with year six. We spoke at length and had excellent feedback from the students whose willingness to participate was second to none. They were polite, respected ours and each others input, were smartly dressed and obviously took great pride in making guests feel welcome. The students seemed to value the information we passed on to them and added their personal experiences. 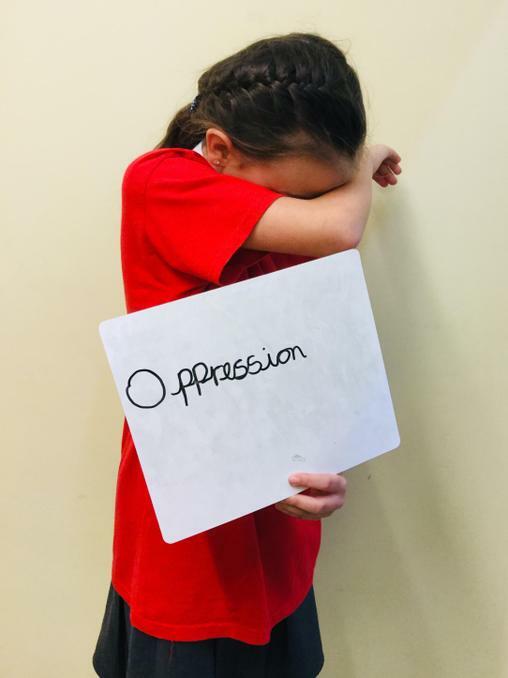 We would like to take this opportunity to thank year six for making this session a very enjoyable one and congratulate the school on their students maturity on a subject which many disregard. 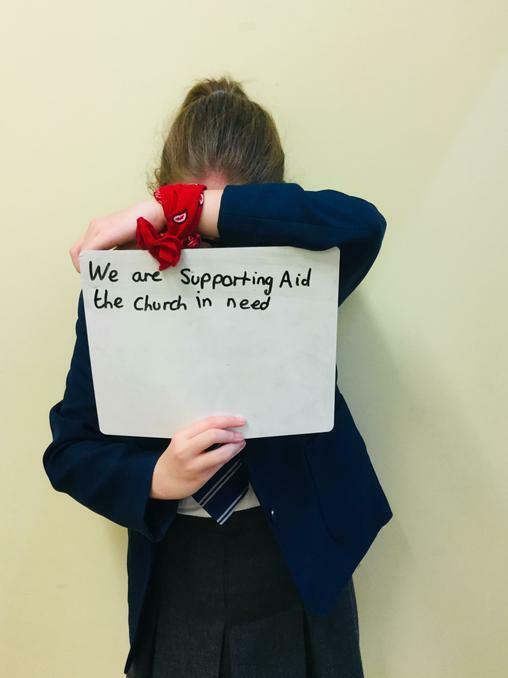 Help us to continue to support Aid to the Church in Need and raise awareness today and on the official Red Wednesday which is Wednesday 28th November – #RedWednesday, and stand in solidarity with persecuted Christians who suffer unjustly for their peacefully-held beliefs. 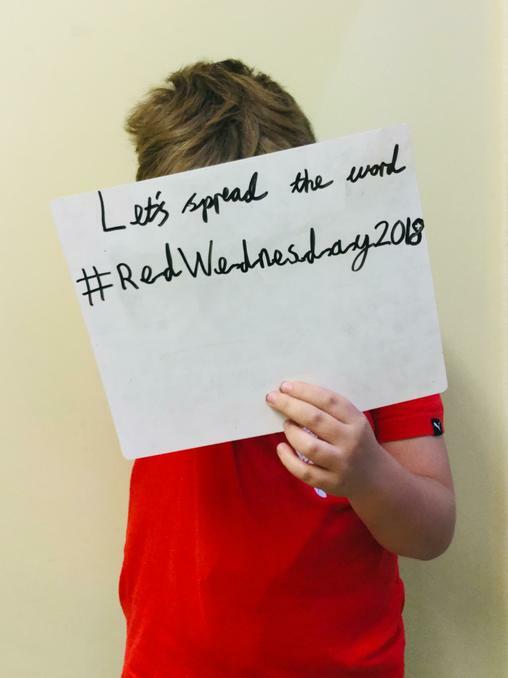 Let’s spread the word and use social media to make #RedWednesday2018 - a campaign that cannot be ignored. 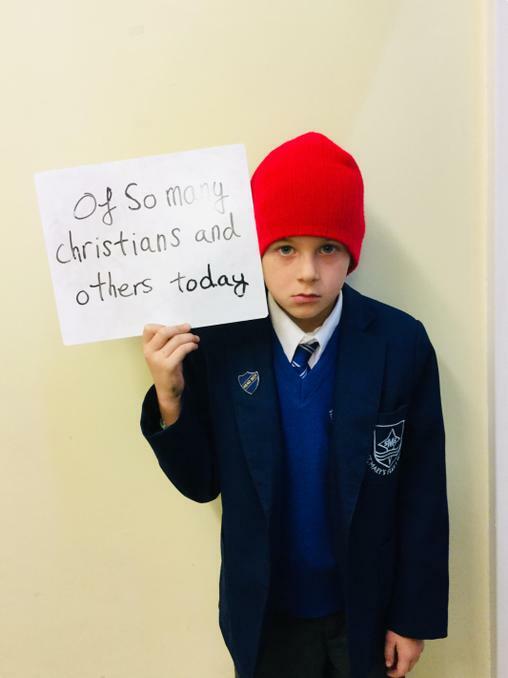 Each Year 6 family were given a red candle to light in their home; by doing something peaceful and positive to highlight the suffering of so many Christians and others today, which goes largely unnoticed by the world. Remembrance Sunday saw Ben, Leon, Keiyara, Sky and Molly come along to the memorial park to participate and represent St. Mary's at the Remembrance Sunday Service. The children laid our wreath on behalf of our school as we remember those who have serviced and continue to serve our country, especially this year in 2018, which commemorates 100 years since the end of the first world war. On Thursday 8th November we held calculation workshops for parents. In KS2, we concentrated on multiplication and division. In Year 6, we looked at the expectations and written methods we use to solve multiplication and division questions. The children joined in with doing some teaching, as well as supporting me in being able to explain the progress of the methods we use. Here is some feedback from parents about what they thought of the workshop. We are always willing to share resources and information with parents to allow them to support their child in their learning at home, especially their homework. 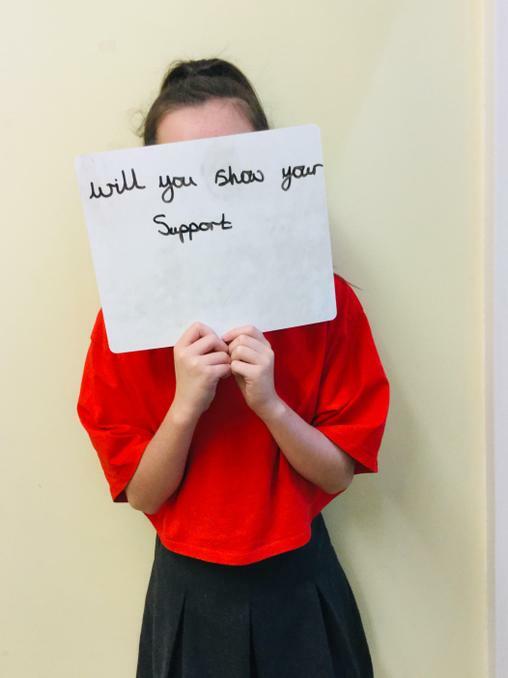 Please ask if we can help in any way, support you in supporting your child's progress. Our book this half term is Street Child. At this point, we have only ready two chapters but we have met the main character and learnt of his family's situation. 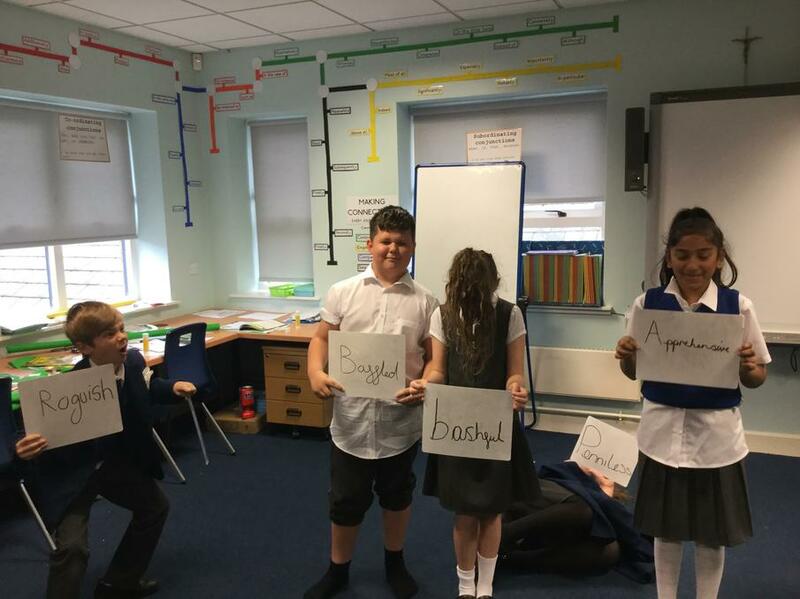 Here are our freeze frames, showing the feelings and reactions of the characters when the landlord (Mr Spink) goes into the Jarvis' home demanding his rent. 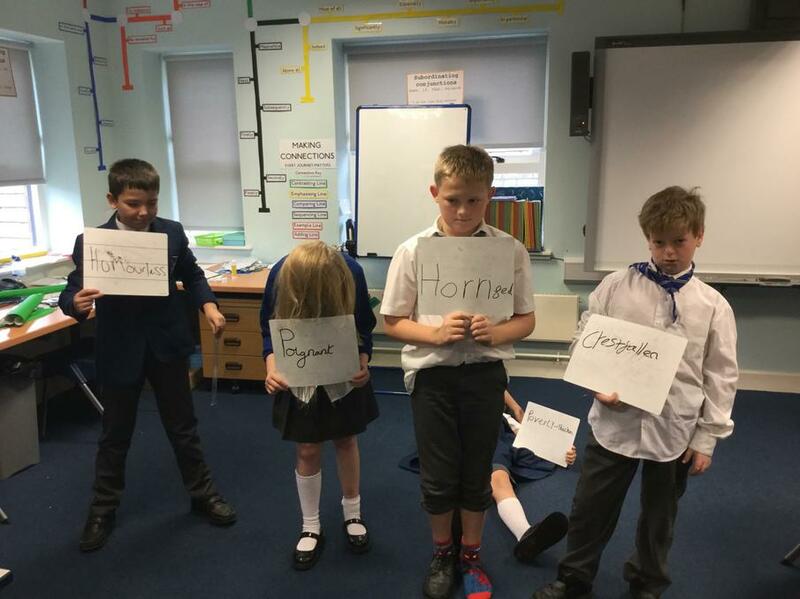 The children had to choose an adjective and use their facial expressions and body language to display which character they were. What do Year 6 now know about Judaism? Having come to the end of learning about the Jewish faith, the children completed a mind map of the information they have learnt and can remember from their experience: at the Jewish Museum, which use to be a synagogue, from our lessons on festivals and using artefacts and information books. 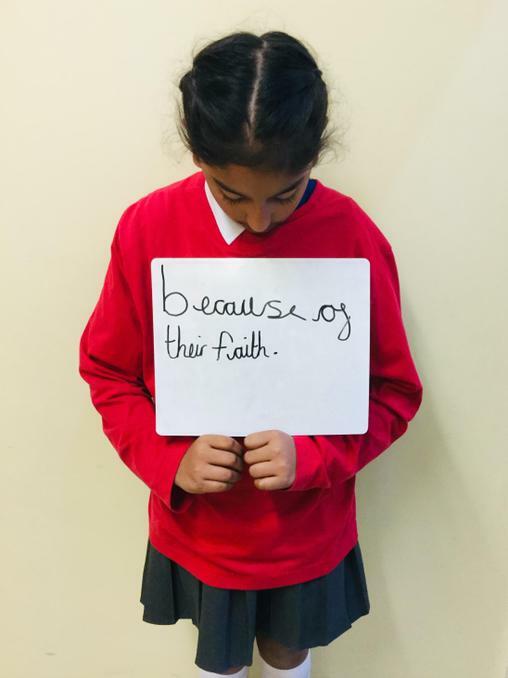 To begin our one world week (multi-faith week) Year 6 engaged the the Jews Faith. This began by attending a tour of Manchester Cathedral and then moving onto Manchester Jewish Museum, which use to be an open synagogue . 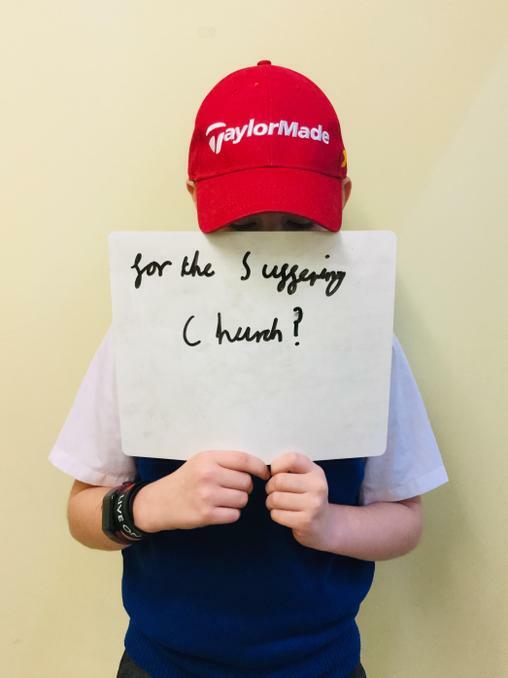 This allowed us to look at the shared stories that the Christian and Jewish faiths share (in the old testament) and begin to learn about the Jewish faith with the following questions: What is a synagogue? What happens on the Sabbath? What is the Torah? What a busy first half term we've had together! 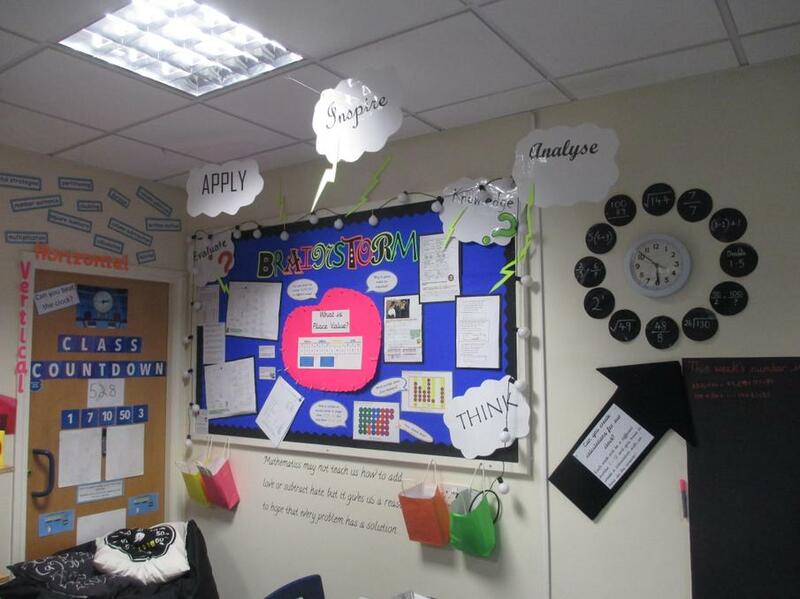 Check out some of our classroom displays which have helped us with our learning, but also celebrate what we have been learning and the children's progress. 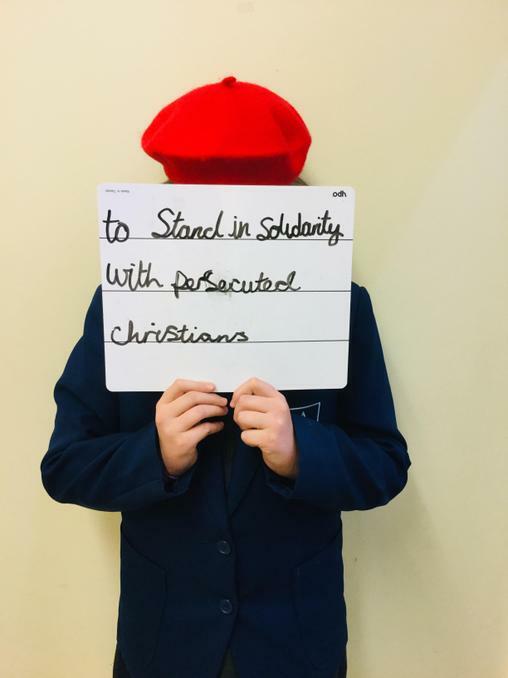 Collective Worship in Year 3/4 was hosted by some of our Year 6 children today. 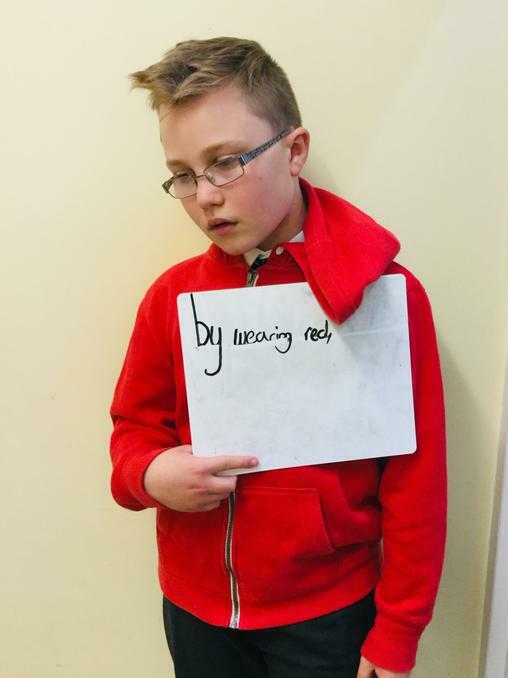 The theme was about not judging others. The children listened to music and prayers and were able to share their own thoughts. 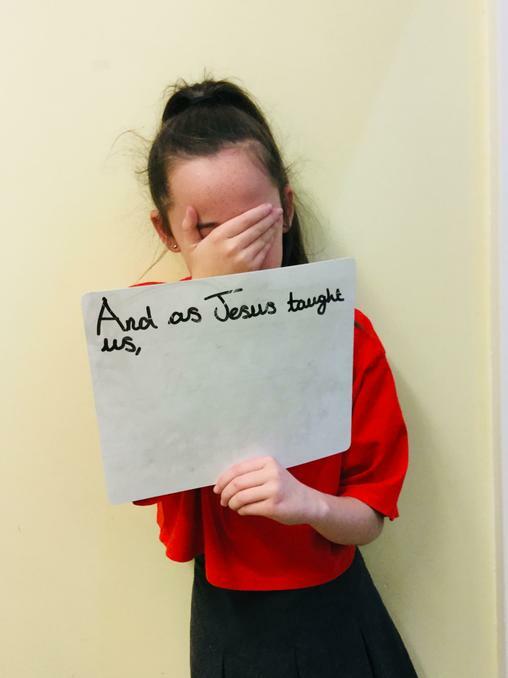 Well done to Hannah, Summer and Keiyara for such a lovely, spiritual experience, that the children and adults really enjoyed. Today, Wednesday 17th October, the school celebrated Harvest Mass together. 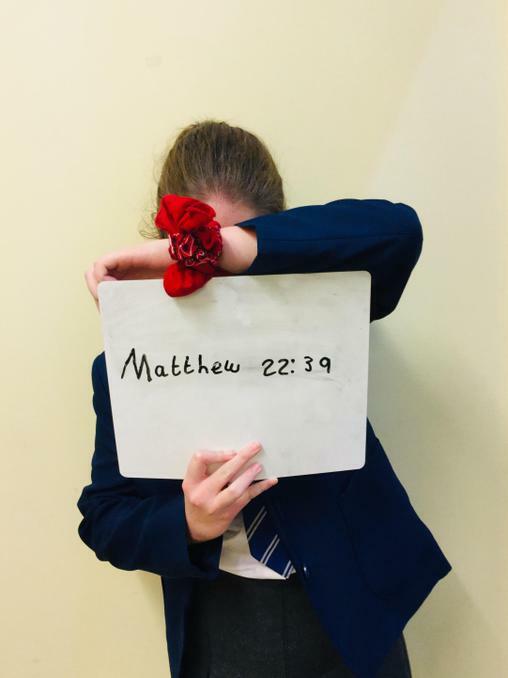 It was led by the Year 6 children, who read beautifully their readings, a harvest poem and the prayers. Leading up to Mass we have had an ongoing Harvest collection and we manged to fill many boxes! After Mass, the Headboy and Headgirl, along with their deputies, went with Mrs Kowalska to give our donation to Fleetwood Food Bank. They really appreciated our hard work and generosity. Thank you to all our parents and families for helping us give such an amazing donation. Van Gogh class have been learning about the similarities and differences between English and French schools. This week we have been talking about the names for the lesson subjects. 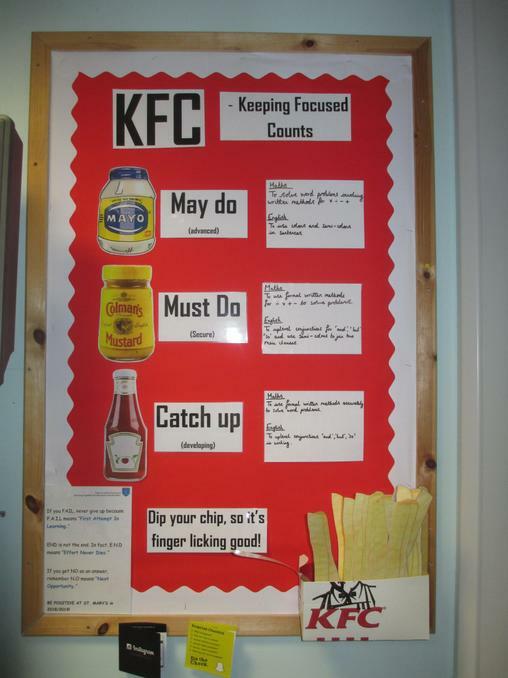 To help the children recognise the language they have created posters and added a small icon for each subject. 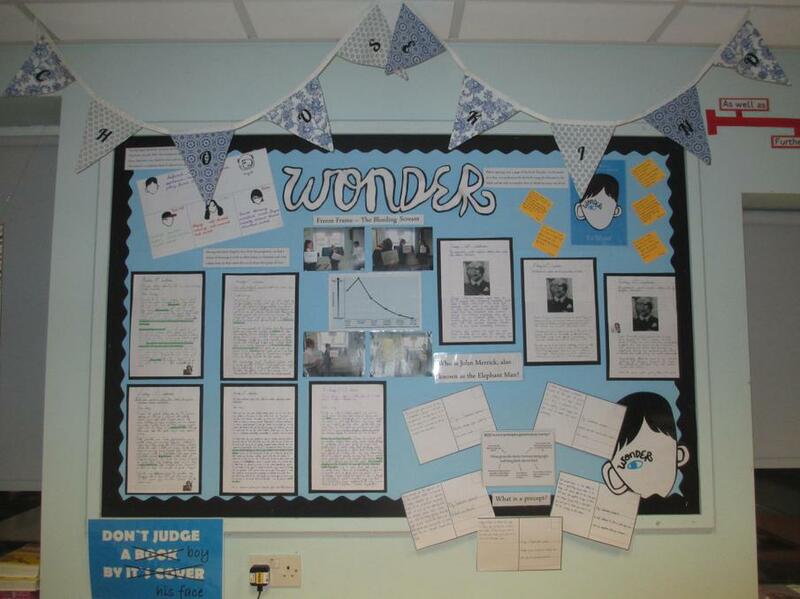 As we finish our time reading the book 'Wonder', we have written speeches about August answering the question: 'Is August Pullman inspirational or ordinary?' We discussed the difference between inspirational and ordinary and used evidence from the book to back ourselves up. We then, constructed speeches about who he is, how he relates to Nikki Lilly (another girl with a deformed face) and what we can learn from them. We have said goodbye in our Star of the Week assembly to David as he moves to Bulgaria after being with us for the last four years. In the same assembly Keiyara received her pen licence and then completed her first piece of extended writing with it. Summer then continued the celebrations, by making superb progress with her presentation. This was our first lesson using the drumsticks and following the rhythm Mr Smith demonstrated, up until now we have been listening and clapping our different rhythm sequences. The children were fully engaged and really enjoyed the lesson. School were invited by Fleetwood Town to invite one pupil to be the mascot at the match (9th Oct). Jose was chosen due to displaying great sportsmanship when he played football golf, by encouraging the others to have a go, congratulating them on their efforts and even though he didn't feel the 'best' at the sport, he still gave it 100% and expressed how much he enjoyed himself. This week (w/b 8 October) Van Gogh have continued to learn about schools in French. 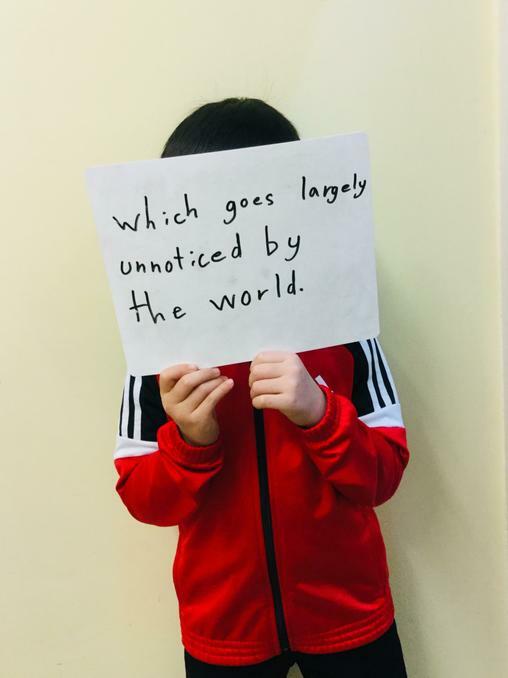 They have learnt to recognise the vocabulary for places around a typical school. We played 'Qu'est-ce qui mangue?' (What's missing?) and Lotto. On Saturday 6th October, it is National Poetry Day, so in school we celebrated poems in our English lessons and shared them in our celebration assembly. 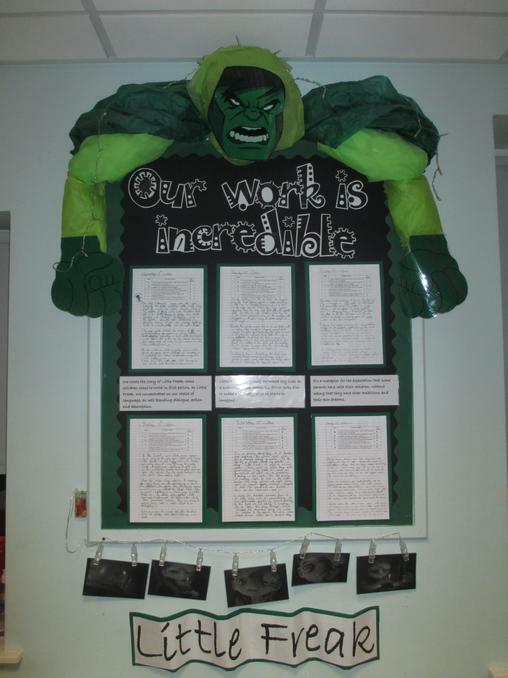 We had two groups, one group concentrated on using a poem to help with spelling and the other group read and performed a poem linked to the book 'Wonder'.Check out our video in the video resource centre section of this website to see our 'Wonder' poem performance. This week we have been learning about written methods for short and long multiplication. We discussed the importance of setting out our calculations, using our place value knowledge and knowing our times tables. In Van Gogh class we have our own prayer wall in our worship area. We have time within our worship time or throughout the school day to reflect and add a ribbon to our prayer wall as we STOP and pray. S is for sorry, T is for thanksgiving, O is for others and P is for peace; we chose the appropriate ribbon for our prayer and add it on to represent our time in prayer with God. As we continue to read 'Wonder', we discover more about the characters and how their actions affect other character's feelings. 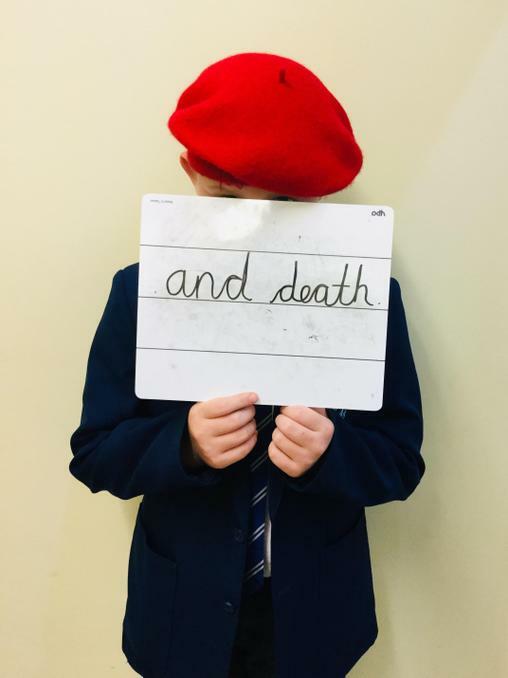 The children worked in groups of three after reading the chapter 'The Bleeding Scream' and acted in role either Julian, Jack Will or August to create a freeze frame with a chosen adjective to describe how their character felt at that moment. 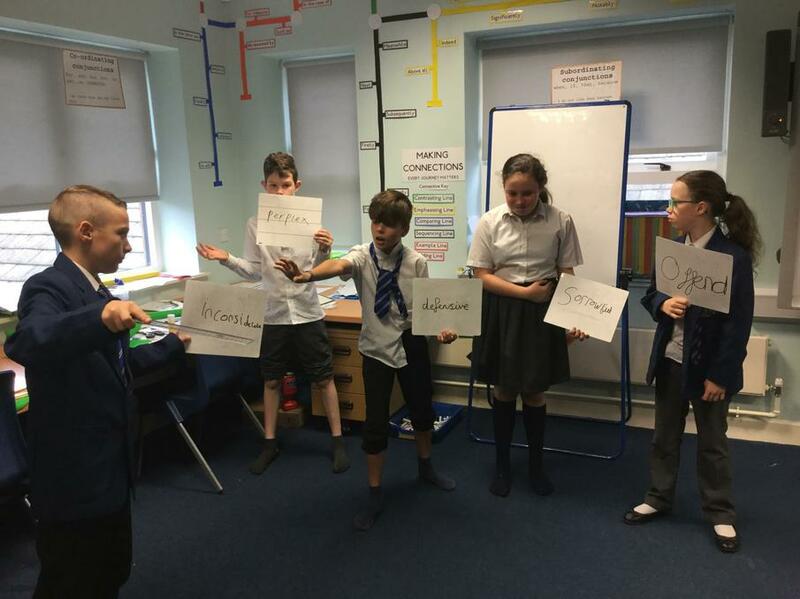 Year 4/5 and Year 6 classes had an hours workshop with Dave, who volunteers with Lancashire Constabulary and their digital media department, in promoting safety online. 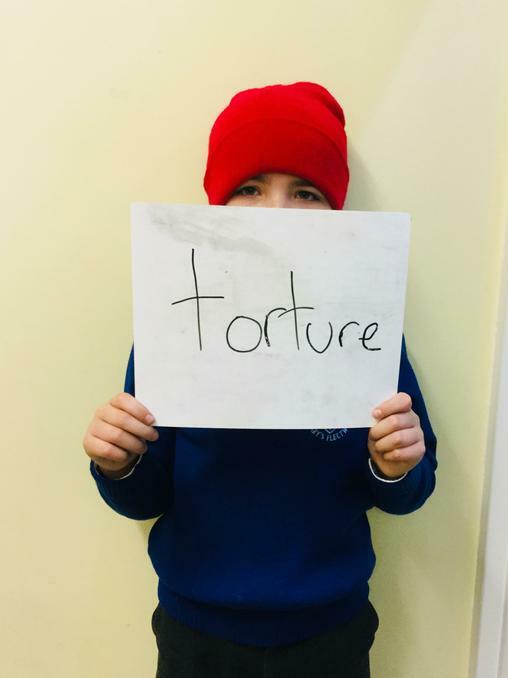 In the class information, there is a document that shares video clips, websites and phone numbers which can help and give advice on keeping everyone safe. We also had 10 parents join Dave for a parent workshop after school. This week in P.E, Year 6 took part in circuit training with Coach Chris as they discussed National Day of Fitness. 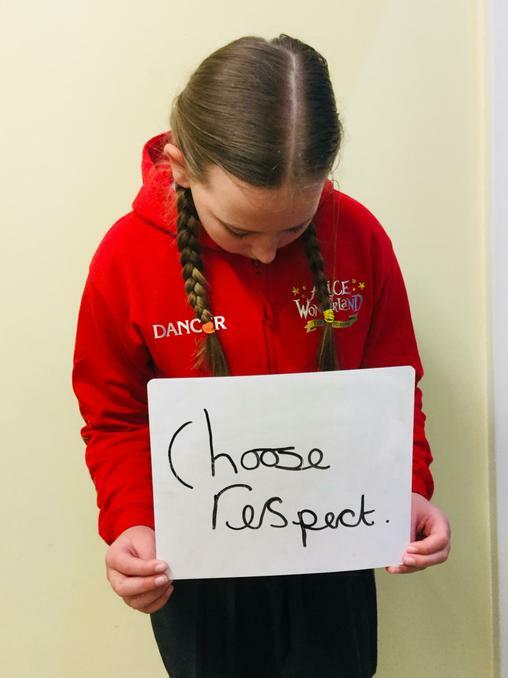 The children took part in a variety of exercises (skipping, sit ups, bench push ups) for short periods of time, but had to do as many as they could before the time ran out and they moved onto the next exercise. Lots of muscles were hurting the next day! This half term in our French lessons, Van Gogh children will be learning to tell the time. Initially they will learn key times on the clock face, progressing to using timetables for an imaginary school week. Congratulations to Keiyara Ranasinghe and Wyatt Harrison for being elected this year's Headgirl and Headboy, Alongside them as their deputies will be deputy Headgirl Sky Hogan and Deputy Headboy Leon Jones. 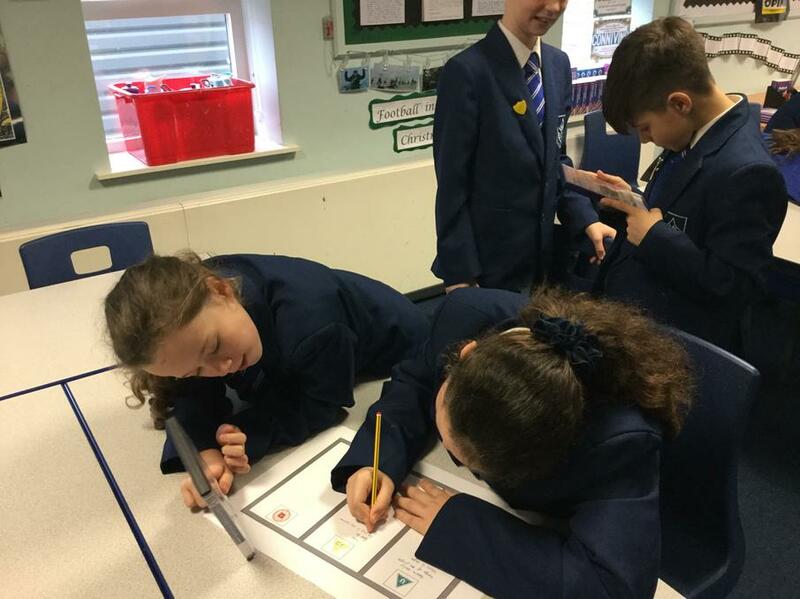 Whilst we've been looking at place value this week, Year 6 took their learning outside for a number challenge, where they had to work in teams to collect digit cards at random, within a specific time frame. They then had to create the biggest number possible with their digit cards.